We invite you to join us for a flash based tattooing event focused on healing, empowerment and activism. Artists will be offering pre-designed flash tattoos ranging from $50 - $100 with 100% of the proceeds donated to the Survivor Arts Collective. Tattoos will be done on a first come, first served basis with sign ups beginning at 10:00 am. $25 gift towards future tattoos at The Labyrinth! Tarot Readings by Anna Joy Healing by donation with all proceeds being donated to RAICES. We’re excited to be a part of the fun at Cultural Chaos on Cottage Street in Easthampton this year! 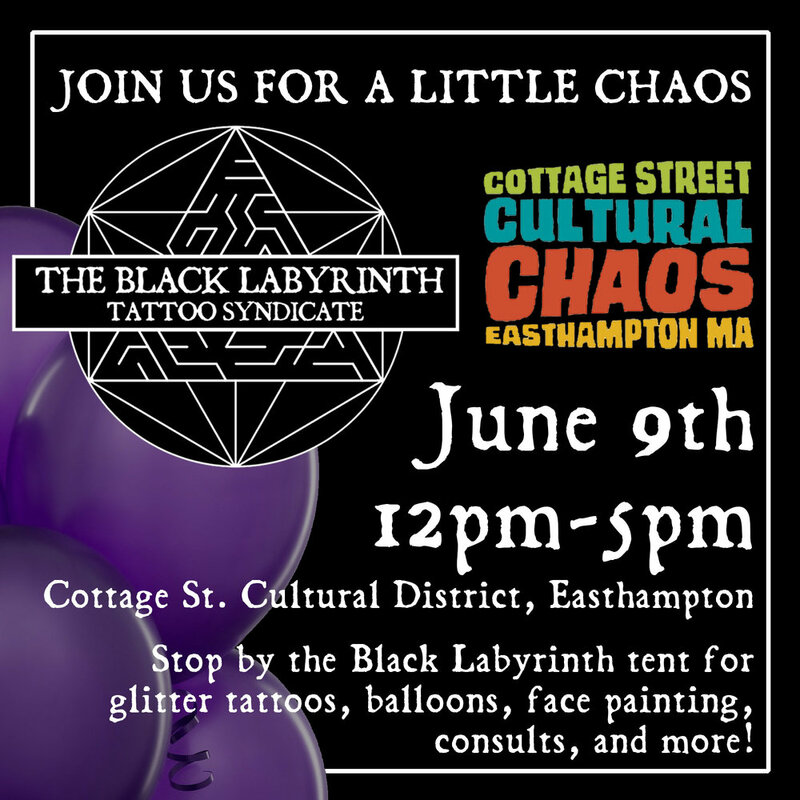 The Black Labyrinth tent will be offering up glitter tattoos, face painting, balloons and more so make sure to swing by and say hello amongst the chaos. Big thanks to Easthampton City Arts for putting on this fun event for the fifth year in a row!